Well everyone, today was inauguration day in the United States. A day filled with high emotions both good and bad. Today Donald J. Trump was sworn into office ushering in a new era of politics and policy. 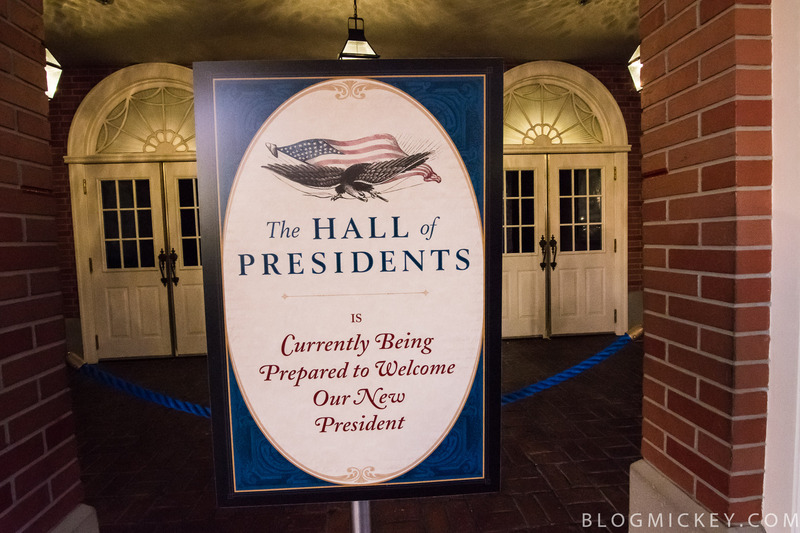 Along with this, comes the addition of his audioanimatronic into the Hall of Presidents at Walt Disney World. This hall contains an embodiment of every U.S. president to date. Each having faced different challenges and each having their own triumphs. It will be interesting to see what Donald Trump brings to this nation and what he adds to the rich history of the presidency. I hope he will be a president for all as he has said many times before. Only time will tell what his legacy will be. Along with the inauguration, this day is adding even more to the world of Disney. Last night the Main Street Electrical Parade made its debut back at Disneyland for the first time in over 20 years. Tonight is the official return as yesterday’s parade was a ticket-only event. This will be the Main Street Electrical Parade’s last run in any Disney park before it is retired forever. I can’t wait to see this pageant of “sparkling lights and electro-synthe-magnetic musical sounds” in person one last time before it is retired. So on this day let’s look forward to making and remembering the history of this great nation. Let us celebrate and reminisce in a beautiful parade and hope for a bright future with a new presidency!